This asymmetrical clutch is the perfect Saturday afternoon project. It’s a quick sew and the results are oh so satisfying. Go over to Alida Makes to get the details! Sew a roomy cargo duffle bag with this free pattern from Noodlehead for Robert Kaufman fabrics. Perfect for a weekend getaway, this bag is sure to please! No one likes to be cold through the winter months. Why not sew a flannel scarf to keep you warm. Add a bit of leather to make the scarf both practical and stylish. 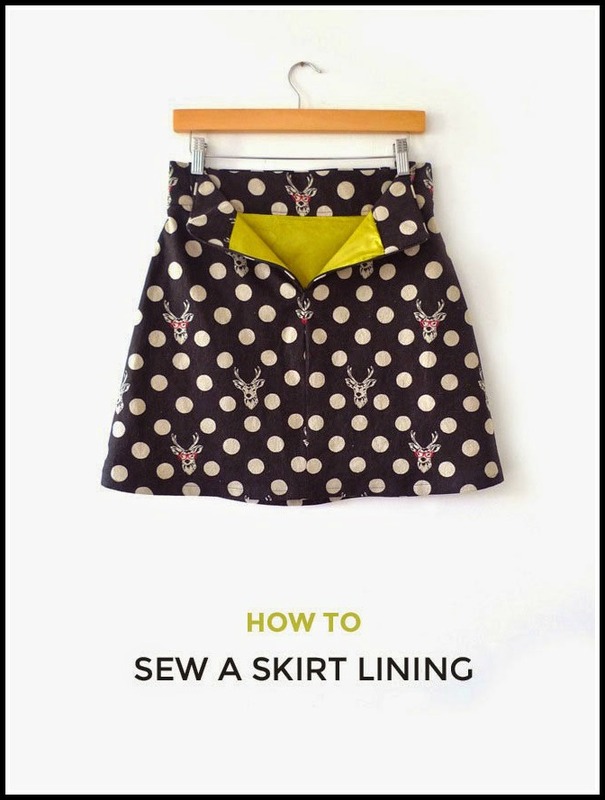 This quick and easy sewing project is perfect for beginners, too! 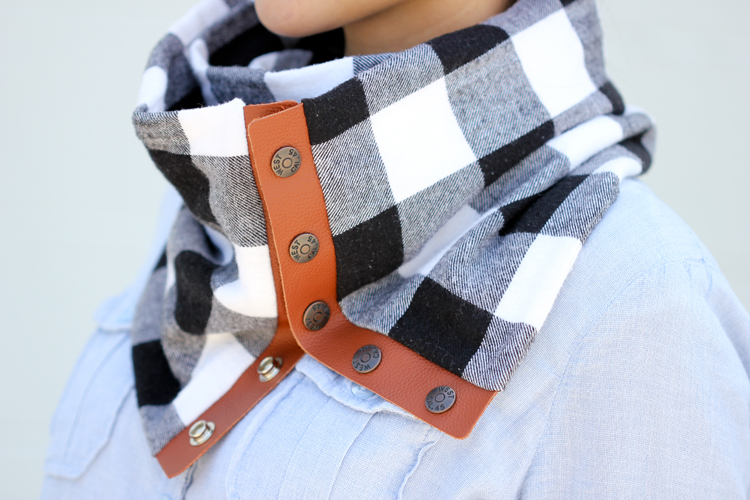 Keep the chill out with this Leather and Flannel Scarf project from Delia Creates! Adore this Free Reversible Box Tote Pattern by Very Shannon. I don’t know about you, but I think anything that is reversible is extra cool. This tote would be perfect for holding all of your sewing supplies, or even work as a great diaper bag for baby! I love it. 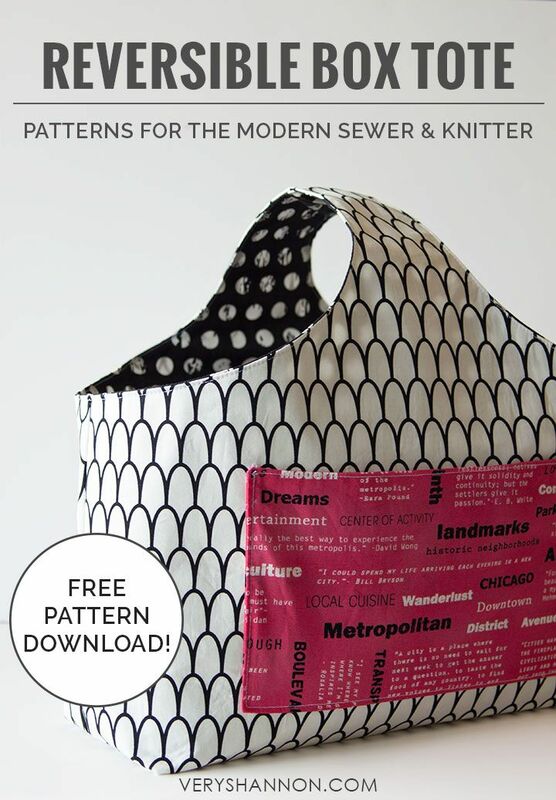 Click HERE to get the Free Reversible Box Tote Pattern. 10 DIY blanket coats and scarves! These are so fun and easy to make. 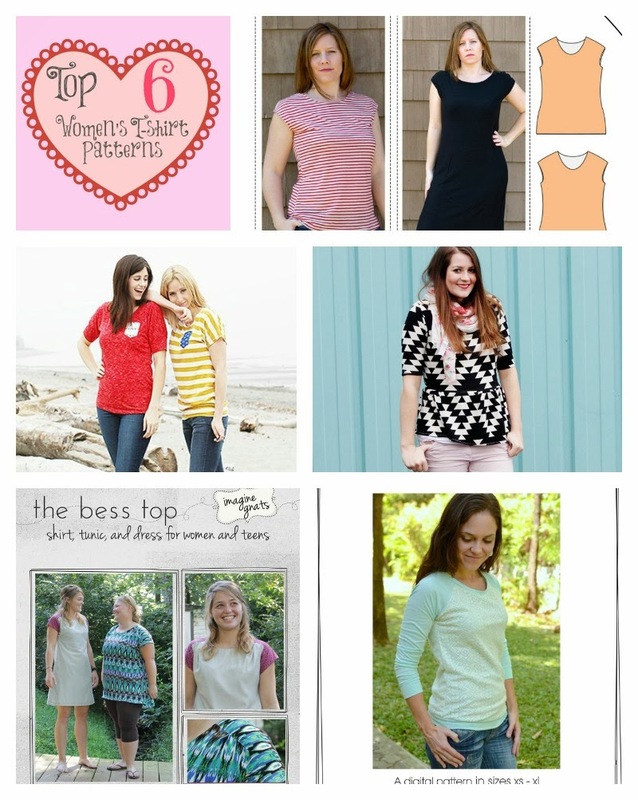 There are some sew or no-sew tutorials but all are cute and fun. Just grab some fleece, flannel or wool and get started! See Andrea’s Notebook for the full post. Make a beautiful dress form that fits you PERFECTLY with this tutorial. No more guess work, or sewing in your underwear. 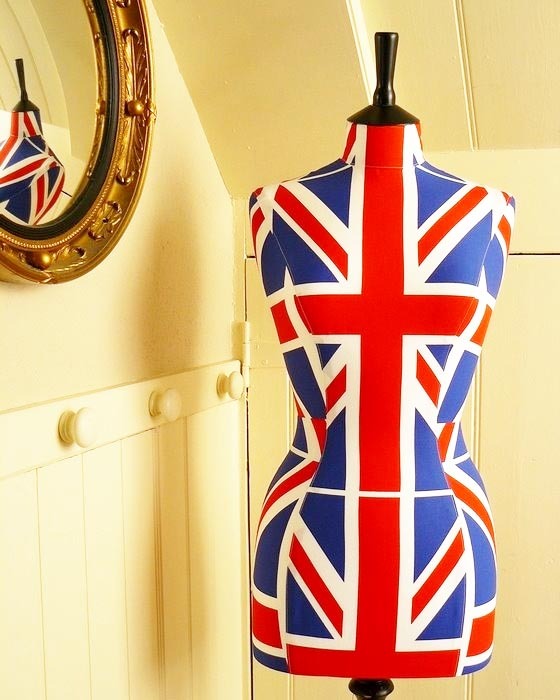 Get the DIY Dress Form HERE. And PS – do not forget to add the saran wrap around your neck! Ouch. Are your favorite blue jeans worn just a little too thin? We know how hard it is to give up your go-to pair of jeans! This method for fixing up your jeans actually works. Once you learn how to mend holes in jeans, you won’t have to toss your favorite pair. You’ll be wearing your favorite jeans for a long time to come! 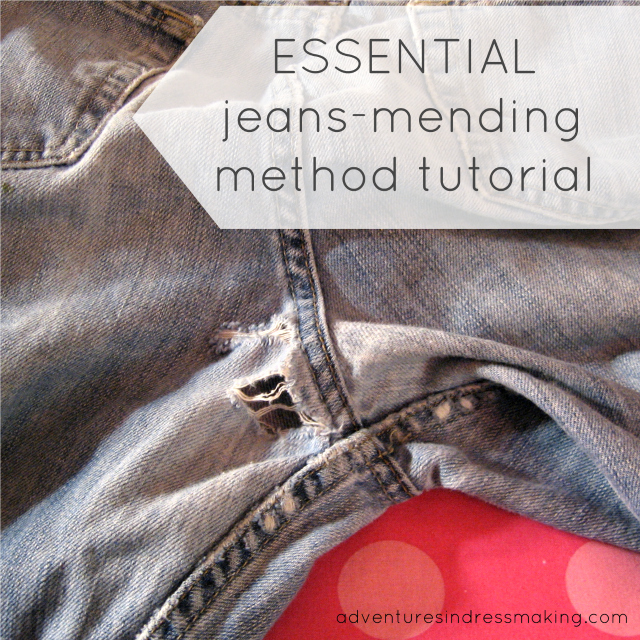 Visit Create/Enjoy for Suzannah’s Essential Jeans Mending Method tutorial!